The post of Moldova is changing. Instead of Soviet-era buildings, the company is installing modern offices equipped with state-of-the-art technologies. Two were inaugurated yesterday in Floresti district, after an investment of nearly 450 thousand lei. Zinaida Casautan has been working at Baghinesti post office for more than 40 years. Until now, the winters at the workplace had been giving him big beatings. The base of the room was severely damaged and the heating system was faulty. "Winter was coming and the world was supposed to freeze again, cold when the winters were stronger It's a pleasure to work now, even the world since I started working in this office I'm not happy to go, to stay healthy. All of them froze out", said Zinaida Casutan, the employee. "The job was so far in an old building, even damaged, and now good condition, get it hot, we serve wide". "There we were ashamed when we get in the other side, but this is nice, warm". "It was a little ugly, the whole village pretty, but the mail was not in order. Now there are good working conditions, it is very good". And the inhabitants of Ciutulesti hope that, with the inauguration of the new post office, they will escape the queues. "The building where the post office was located is old and hard. enter a refrigerator, now I see that there is something positive that we enjoy". "It is was bad. The bridge fell, but here it will be very good". The inauguration event was also attended by the General Director of the Post Office of Moldova, Sergei Nastas. According to him, such offices are to be opened in other localities in the country. "Traditionally, every week, why not a month, we open such post offices. 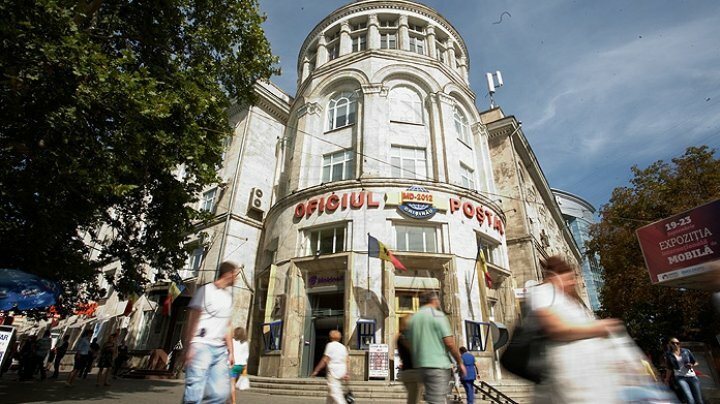 At the moment, we have installed around 25 centers, and next year we do not propose less than 20", said General Director of the Post Office of Moldova, Serghei Nastas. "This event is due to a good series of good projects for Moldova initiated by DPM. Many people do not know the problems of the citizens, you know the problems of the people where you were born, where you lived with them, where you worked and that is why we come in "I have some real projects," the DPM candidate saidin the constituency no. 12, Gheorghe Brasoveanu. In the last five years, 350 Post Offices have been renovated from "Posta Moldovei" sources, that is, half of the structures in the country.